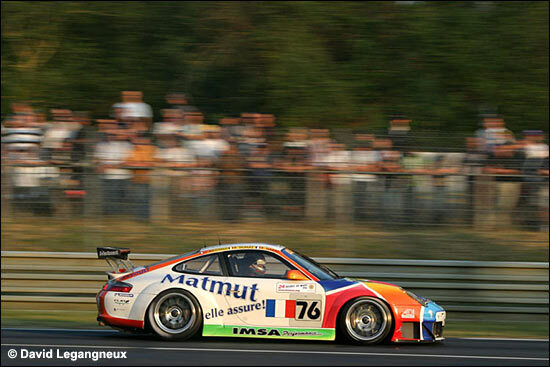 No, not performance equalisation… the French monthly Flat 6 reports that Raymond Narac’s IMSA Performance team is planning to buy two Porsche 997 GT3-RSRs for 2007. One will be for the FFSA-GT championship and the other for the Le Mans Series. 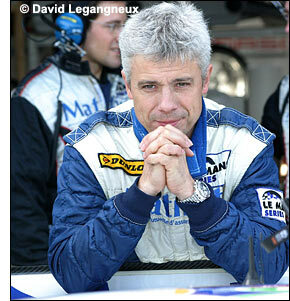 Raymond Narac (right) hopes to enter both in the next Le Mans 24 hours. Fifth this season in Le Mans Series (Narac / Bouchut), IMSA Performance is leading the GT2 class of the FFSA-GT (Narac / Lecourt) and is close to the title. The team’s run at Le Mans this year (Narac / Dumas / Riccitelli) ended unfortunately with a retirement after engine failure – after an unorthodox chassis change after qualifying. Raymond Narac, based near Rouen, has recently opened a new Porsche shop, bigger than the previous, one with an area of 1800 square metres. He is approaching the sale of 100 cars per year.